When you live abroad, there are a few things you really crave. Desi food, friends, family and some of your favorite places to shop. 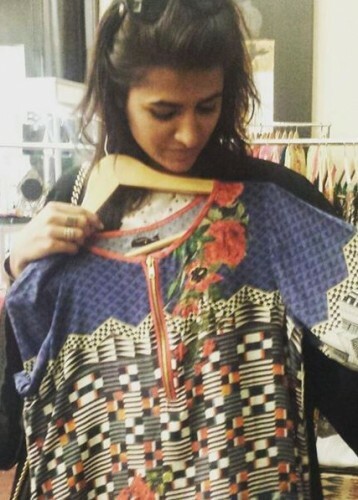 Personally I miss my favorite go to shops that I had picked out for things when I lived in Lahore. 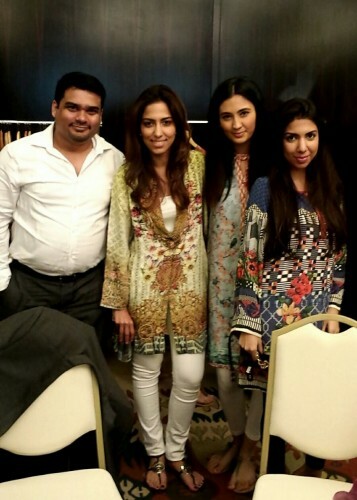 Now having moved to Dubai I sometimes crave for many of my favorite Lahori eating and shopping spots. 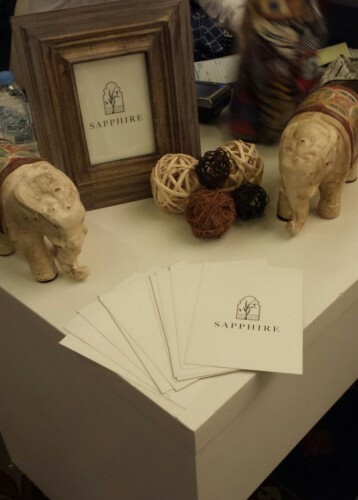 Last weekend ended on a personal high, as one of my favorite brands ‘Sapphire’ made its way to Dubai for an exhibition. 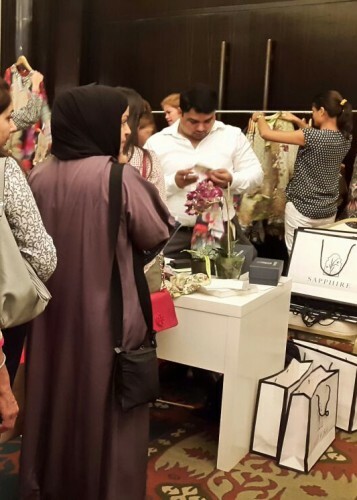 The Palace Hotel Dubai saw a melange of renowned and emerging designers as well as jewellers showcase their work. Sapphire’s stall was full of hustle and bustle as expected, with a continuous flow of women flocking the racks and grabbing the beautiful silk tunics. 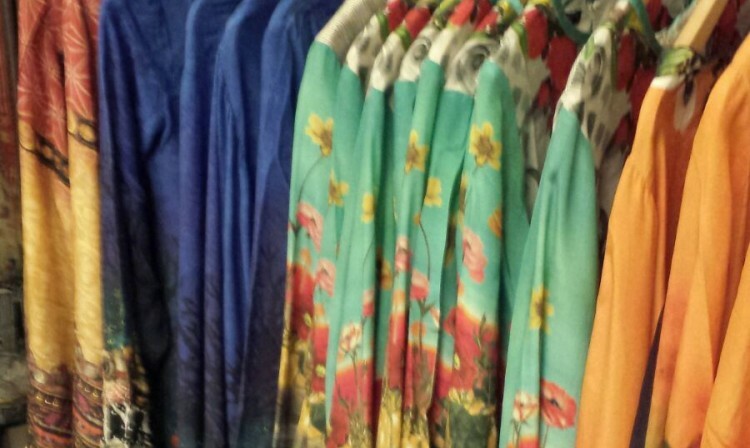 With subtle to bright pops of colours, there was a range of styles available to make almost all women from every age group or walk of life, happy. Sapphire silk tunics with light embellishments added charm and femininity to the collection. 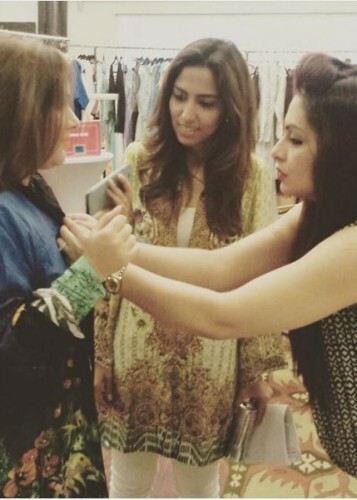 Natasha Saleem, Head of Marketing for Sapphire along with her team was present at the exhibition which proceeded seamlessly. Despite putting in all nighters Team Sapphire was all smiles and ready to greet and help every customer who made their way to the exhibition. Within the first few hours the racks had almost wiped out and yet people were coming in throngs, making a beeline for Sapphire. The collection Sapphire presented in Dubai was appreciated and loved showing that the brand has an international appeal. From casual chic to semi formals, the brand is on trend, and the successful fusion of retro with desi is loved by almost everyone. 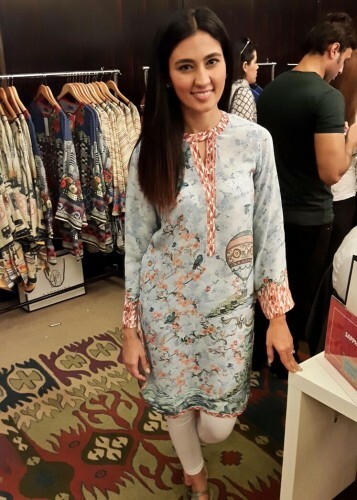 P.S: My personal favourite was the “Tokyo Drift” – a fun vibrant piece with an ethnic side to it!